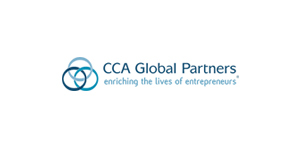 CCA Global Partners is dedicated to serving entrepreneurs by bridging the gap between manufacturers and independent retailers. When you become a member of the Lighting One cooperative, you will be able to sharpen your competitive edge against big box stores and online competitors, while maintaining your business’ local spirit and unique identity. Instead of worrying about competing against bigger chains and online retailers, you can focus on offering your customers the service and selection they need, all while increasing your impact on the local community. No other company or cooperative can offer the scope of benefits that Lighting One and CCA Global Partners provide its member showrooms. You’ll have the edge over your competition, and homeowners, builders, and interior designers alike will come to your store again and again for all their lighting needs. Contact us today to join or learn more about our program. We look forward to hearing from you! “Without question, the most profound benefit of Lighting One membership is the hands on, “in the trenches” kind of wisdom and experience I garner from other co-members. Our industry faces an array of challenges, unprecedented in recent history. What made our businesses successful in the past hold little promise for perpetuating a healthy future. Truthfully, facing future challenges without my member-partners would be grim.